Thai Airways have announced that from April 1st their economy class passengers will no longer be able to load bags weighing 30 kilos in the hold for free. New rules said that for four categories of economy class (including L,W and V designations) passengers will now only be able to take 20 kilos free of charge. Group tour customers will also face the same restrictions though that change in the rules will come later starting July 1st 2019. Daily News said the airline were trying to cut fuel costs. THAI have reportedly been losing billions of baht in recent years. Airlines that allow 30kg and are not a government cartel will be happy with this latest idiocy! They will lose more customers. Won’t be long and you will be paying per kg in body weight. looks like us fat bastards better start that vegan diet. 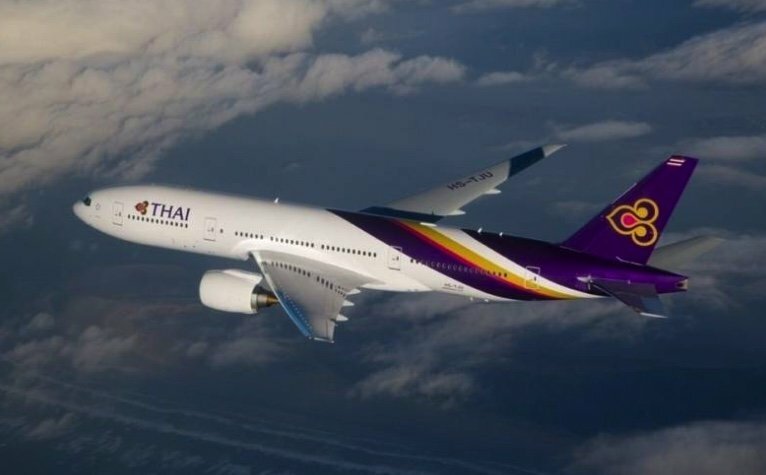 Another big loss at Thai in 2018 (US$365 million) but no evidence that they are going to stumble upon the principal cause: that they are inevitably the most expensive option on any route out of Thailand. Even their "promotional" fares are often more than what their competitors charge. They might be able to pull it off if they had a superior product but this announcement would appear to indicate they are going to stick to the same cost-cutting strategy. Possibly the reporting isn’t clear and it’s two free bags each less than 20kg (Emirates is 2 at 23kg each) which wouldn’t be so out of line. sadly this is true, bouncing between phils and bkk, using philipine airlines as the median, air asia is 50 percent of that, and thai is nearly 100 percent more expensive. the experience on thai is far more enjoyable, however on those rare occasions they have a competitive fare. The rules to/from USA (where TG does not fly) might differ, but the "all classes 30 kg" at Emirates to/from Europe are over. 15 kg for the "Special" (cheapest) class. Last year it was already down to 20 kg. It's all about looking best in the search engines. You are still free to pay a much higher price and have more allowance. More airlines will follow (Lufthansa is considering e.g.). And from Bangkok to Europe return, Emirates shows silly prices. There aren't many options on some routes if you want to fly direct. For BKK-ARN (Stockholm) there's just the option of Norwegian and they're often as expensive as Thai Airways and they're slower. I am quite happy with the service and cost of Thai Airways on that route, most of the time. There are really cheap options, like flying Air India (2 stops and 30+ hours) or Air China (2 stops and 35+ hours). Weighing the price difference and the time difference into my decision usually means that Thai Airways wins. starting price (shown on search) is without baggage, drinks, meals and seat reservation. Same for German "Eurowings". It has become more and more complicated to compare prices. Of course that might mean sacking the numerous..
You may add a few more to the list..
Never saw a country that was so determined to go out posterior backwards-unless you include Myanmar (Burma) which has consistently failed at everything since 1948. Surely it should be for those who book after April 1st, as those who have already booked in good faith for travel after that date will have been expecting 30kg. That’s grossly unfair (not that THAI would give a s***).